Today’s guest blog post is brought to you by Michael McPherson. Writing full time is a viciously difficult profession. I very rarely see a happy writer because any form of writing is like tearing the flesh from your bones; especially if you have to do it every day. Being a full-time writer is difficult because you have to find the motivation to write over and over again until you start climbing the walls with frustration. I know because I have done it and I help authors on market with their services on a regular basis. How do you get work every day? How do you turn your hobby into a profession? How do you even start paid-writing as a hobby in the first place? First, you need to create an online reputation, build it, cultivate it and maintain it. Here are a few of my best online-marketing tips to help you start and build your reputation. This should be the first step in your writing endeavor. You need your own website that acts like an online portfolio. Do not get bogged down in details at first. Put yourself in the shoes of your employer. Would you want to read that the writer has been a writer for six years? Or, would you like to see references to every article he or she has ever written? The answer is the former. When you hire a mechanic, you do not ask how many cars he or she has ever fixed. Put in more than one picture of yourself on your website. It shows that you are human and not a marketing ploy by a writing club. Show a professional one, one with your pet, and one stood beside an expensive car (it doesn’t have to be yours). At first, many writers have no idea that such a thing as emotional truth even exists. They are focused solely on making the plot work, making the jokes funny, or advancing the action from event to event. At this stage, there is little or no thought to a work’s deeper meaning or deeper human truth. Call this the “run and jump” phase of our writing careers, when all we can really see, and all we can adequately convey, are the mechanical aspects of the work; the mysteries of the human heart yet elude us. As we mature as writers, we become aware that there’s such a thing as emotional truth, but we have no effective means of transmitting this information from brain to page. Our first efforts in this direction often seem awkward, stilted, and self-conscious. We might try to write, “I love you,” only to recoil in horror at the awful, stilted, clichéd obviousness of that thought. We hate or castigate ourselves for writing so artlessly about subjects so important. We haven’t yet made, at least to our satisfaction, the connection between simple human truths and meaningful, effective, evocative presentation on the page. But we get better. We do. We grow and develop, deepen our awareness of the emotional truths we wish to convey, and also acquire strategies and tactics for doing so in a satisfying way. We discover tools like text and subtext, and bring our writing to the point where one character may say to another, “Would you like a cup of coffee?” and have it understood to mean, “I yearn for you to the bottom of my soul.” We become writers with sufficient insight to detect emotional truth and sufficient toolcraft to capture and preserve it in words. So we’re home and dry, right? Maybe not. Maybe we’re still afraid. In conveying emotional truth on the page, writers must make certain leaps of faith. Sooner or later we have to recognize that writing about emotional things will necessarily expose us to the very feelings we’re trying to express – feelings we might not be entirely comfortable with. To write successfully at this stage, we have to become okay with just feeling what we’re feeling. We also have to be ready to accept judgment from others – family and friends, other writers, the audience at large. We have to be ready to take a stand and say, “This! This is what I believe! This is how I think the human condition works!” That’s a big step. 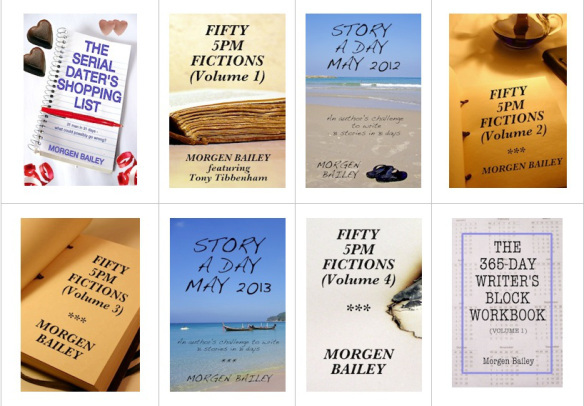 Some writers can’t make it – their story absolutely ends here. For fear of confronting their feelings and for fear of others’ opprobrium, they just never find their way to being honest on the page. Those who do overcome their fear enter a state of maturity in relation to emotional truth: They know it’s out there; they desire to express it; they have the means to do so; and they are not afraid. This, as far as I’m concerned, is the ultimate goal of a writer’s life: To know the truth; to speak the truth; and to be not afraid. So then we can think of a writer’s journey to emotional truth as a road toward deeper understanding, better toolcraft, and freedom from fear. It’s useful to stop and ponder from time to time where we are on this road. I myself am currently exactly here: I have a pretty good hand on interpersonal truth – how people are with one another – and now I’m trying to tackle philosophical truth and spiritual truth. I’m trying to convey my deepest beliefs without sounding like a dork or a preacher or both. It’s not easy, and I’m not entirely unafraid, for who wants to look like a preachy dork? But I’m soldiering on, because it’s my understanding that this is what living the writer’s life is really all about: going deeper; and having gone deeper, going deeper still. Today’s book review of a crime novel is brought to you by yours truly, Morgen Bailey. 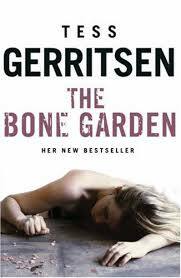 This novel is available via http://www.amazon.co.uk/Bone-Garden-Tess-Gerritsen-ebook/dp/B0031RS2FY and http://www.amazon.com/Bone-Garden-Tess-Gerritsen-ebook/dp/B0031RS2FY. Switching occasionally between the 1800s and present day, I found far too much of the historical events versus too little of the latter, and the content set in the 1800s took on too much of a fantastical tone for my liking (mention of child sacrifice and figures in cloaks) – I laughed at the film version of The Exorcist. The writing’s good so I’m sure I’ll enjoy other books by Tess but I struggled with Laurel Lefkow’s narration. It was OK generally but over dramatic when narrating male characters and I found it comical which I shouldn’t have done. Although it was an interesting story, with Rose my favourite character, the latter parts of the 1800s section were disappointing and the present day sections unconvincing. Today’s book review of an urban fantasy / romance novel is brought to you by novelist Julia Hughes. 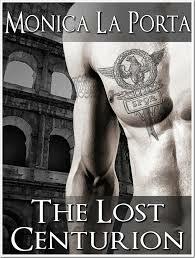 “The Lost Centurion” by Monica La Porta – Book #1 in a new urban fantasy / romance series “The Immortals”. Currently available for 99 cents; special Early Bird offer. I fell in love – with Marcus and with Rome, both ancient and modern. Rome really is the eternal city and the author’s descriptions are so vivid, you’ll believe you’re walking these ancient streets and marvelling at Rome’s beauty. More than this though, “The Lost Centurion” is a timeless love story. As an Immortal, Marcus is charged with protecting the human race from demonic forces, including vampires – which suits him just fine, as a vampire killed his wife, and he is determined to avenge her. Then he meets Diana… who’s about to become an vampire, courtesy of a last ditch attempt by her protector to save her life. However, her protector is now dead, and somehow, Diana becomes Marcus’s responsibility. So begins an imaginative and exciting adventure, that absolutely enthralled me. “The Lost Centurion” is a fabulous introduction to a great new series, and I can’t wait to catch up with Monica La Porta’s next Immortal. Julia Hughes is the author of “A Raucous Time”; “A Ripple in Time”; “An Explosive Time”; “The Griffin’s Boy” and “The Griffin Cryer”. Book #1 in both Celtic Cousins’ Adventures and The Griffin Riders’ Chronicles are free to download from all good virtual bookstores – details at www.JuliaHughes.co.uk. If you would like to send me a book review, see book-reviews for the guidelines. Other options listed on opportunities-on-this-blog including author spotlight, guest blogs, flash fiction and poetry. 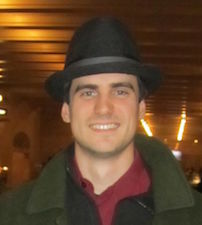 Today’s guest blog post is brought to you by professional writer and blogger Ben Russel. Writing is a communication medium that uses language signs and symbols to share information. During the writing process, grammar, semantics and vocabulary are used to present ideas to the reader. Most writers focus on presenting their ideas to the reader without giving enough attention to the essential elements of writing. This makes it difficult for the reader to understand the content that the writer is trying to share. For an individual to develop better writing skills, an understanding of the use of words and the development of sound judgment that presents ideas in a clear perspective is required. The following could enable an individual to develop better writing. According to college paper writers at SolidEssay.com, writing requires the combination of various ideas to present the targeted subject or theme. Before starting the writing process, an individual should collect ideas and the material required, which should then be organized on how they will be presented. Note-taking is a common and simple method used to collect and arrange ideas before writing. A writer may put down personal ideas or ideas retrieved from other sources in an organized format. These ideas could be put down as an outline to guide the writer on the topic of choice. When information is organized, the writer will save a lot of time to write and complete the paper. When writing, some writers may make various grammatical mistakes that would make the paper appear disorganized and unfocused. Such papers will make it difficult for a reader to understand the concepts presented by the writer. Common grammatical mistakes involve the use of short forms such as “hasn’t” to mean “has not”, “isn’t” to mean “is not”. A writer should avoid the use of short forms when presenting ideas. There are also commonly mistaken words like their/there, your/you’re. A writer should be able to differentiate such words; for example, “their” is a possessive pronoun, while “there” is used to show a place. The sentence structure is also affected by grammatical mistakes. In case the writer has challenges with grammar, it is important to get assistance, which involves researching on the proper use of grammar. Proofreading will also help the writer identify and correct grammatical mistakes. 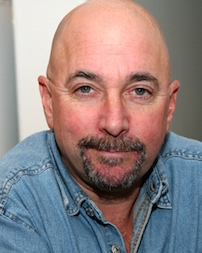 Today’s guest blog post, on the topic of poetry, is brought to you by Phillip Ellis. One of the elements of many poems is rhyme. What is it? What are the types of rhyme? Simply, rhymes are types of repeated sounds, with three basic types. I talk about these below. They can also appear anywhere in the poem; I mention this also. But do all poems have to rhyme? I also discuss this. I don’t go into too much detail: this is an introduction only, and books can be written on the subject. What has to be remembered is that rhyming is based on the sounds of the rhyming words, not their spelling. The rhymes represent the way that the poem’s “speaker” pronounces those words; quite often, this speaker speaks the same way as the poet. If we look at a poem’s exact rhymes, we can often find out how that poet pronounced certain words. Poets whose rhymes reveal this detail include Alexander Pope and H. P. Lovecraft among many. But rhymes do not have to be exact rhymes to be acceptable: as you shall see, many words can partially rhyme, and have been called half-rhymes, partial rhymes, pararhymes and slant rhymes. As you can see, the rhyming sounds are exactly alike.